If you are running a business then we are here to help. Size really dosn't matter. We serve both home office businesses and larger businesses with complex networks. You can pay as you go on hourly rates that give you access to some of the most experienced technicians in the industry at competitive prices, or you can move to our all you can eat plans that give amazing value for money. 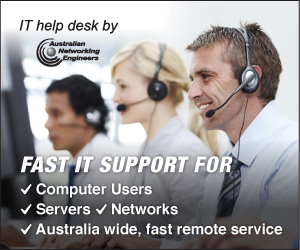 Whether its a problem with your PC or with a Server, getting help right now is just a Phone call away. You can pay by Credit Card or start an account which ever suits best.....and for first time customers we will give you $60 credit off your first job. 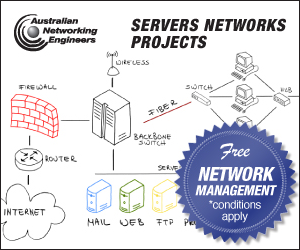 We support Microsoft, Linux and Cisco systems via both onsite and remote support.